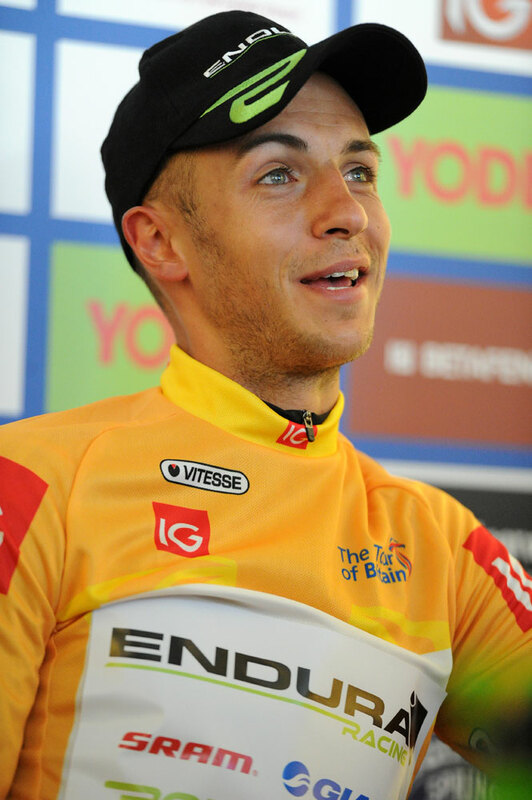 It seems like the perfect ending to the perfect year for Jonathan Tiernan-Locke. The confirmation of his move to what he calls ‘the best team in the world’, Team Sky, brought the curtain down on 12 months that saw him rise from little-known Devonian climber to Great Britain’s leader at the road World Championships. He’s the first to admit that his story is one that might sound like a fairy tale. “It’s all happened so quickly that I haven’t really reflected on it, but when I do it must look pretty weird from the outside, just like I’ve stumbled into it,” he says. But he also accepts that things looked very different at the end of March, following the Settimana Coppi e Bartali, a 2.1 ranked race in Italy. Two minutes after crossing the line he was throwing up and being transported back to the hotel. He couldn’t keep down any food or water and it was no surprise when he failed to make the start the next day. It was an abrupt change in fortune but not one that seemed out of the ordinary for a professional cyclist. When his form slowly returned, Sky began to show serious interest. 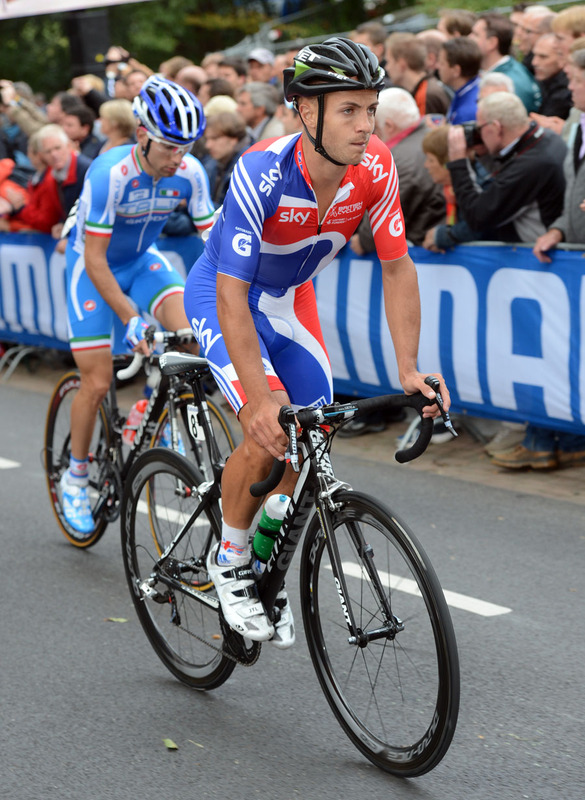 Tiernan-Locke had in fact already turned down an offer to move to the team following the Tour of the Med, deciding to see the season out with Endura. But he didn’t pass up the opportunity when Sky invited him to their Tour de France squad training camp, up in the clouds on the Teide volcano in Tenerife. Although he’d been ill, he kicked out some impressive numbers on the island. He returned to Endura with a verbal agreement with Sky for 2013 and the drive to get his season back on course. Unfortunately on the second stage of his first race back, the Vuelta a Castilla y Leon, he was going so badly that he climbed off. An untimely broken collarbone at the Lincoln Grand Prix in May dented his recovery further before another setback hit him hard after a mediocre National Championships in June. The paramedics were unable to diagnose the illness while he remained at a loss to explain what was getting in the way of him rediscovering his form. This wasn’t the Tiernan-Locke we’d grown to expect in 2012, who had looked so confident blasting away from the peloton when the road pointed uphill. Nor was it what he had come to expect from himself. “I knew it had been a great start to the year,” he explains, “and I was impatient to find that again.” He became increasingly frustrated and his training suffered. “When you’re going really well you think that’s your default setting, that’s just you. But it’s not; you can always be creeping along and can’t explain it. That confidence continued throughout the season and is evident as he looks forward to next year. “I know I’ll be ready for it,” he says of his move to Sky. He also knows what it might entail; he’s already visited the staff and facilities at the Manchester Velodrome and discussed his capabilities with Sky’s performance analyst Tim Kerrison. His task now is to weigh up a calculated risk. Unfortunately training his threshold power and consistency for a Grand Tour could jeopardise his aptitude for the short steep climbs. It could be a risky experiment for Tiernan-Locke, not only because his punchy style has got him to where he is now, but because at 27, he might not have the time to go back on his choice. Whichever path Tiernan-Locke decides to choose, he’s sure Sky’s line is the one he wants to walk. “I’ve always taken care of my own training and that’s got me so far; I can get quite a lot out of myself,” he says. “I’ve never been in a team with the facilities Sky has. If I had then I would have made use of them. Despite having been ill after the Settimana Coppi e Bartali, the capabilities Tiernan-Locke displayed at Sky’s Tenerife training camp in April were instrumental in orchestrating his move for 2013. “I had an SRM on and we were doing all these timed efforts and tests. Tim Kerrison was there analysing all that data, doing all the blood lactate checks and all that. “I hadn’t used power in a while and it surprised me. We set off at different intervals for an hour-long climbing test. It was half of their Tour de France team and me, and although we couldn’t see each other because we set off at different times, I was right up there. The original version of this article appeared in Cycling Weekly magazine, October 25 2012.